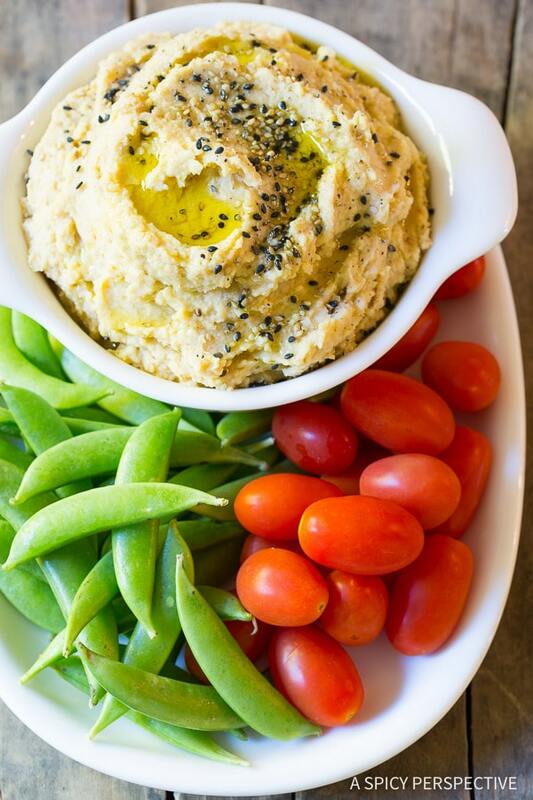 Sharing a rich and creamy Miso Hummus Recipe, perfect for dipping veggies! This is not the first hummus recipe on ASP. You see, I sort have a thing for homemade hummus. I love snacking on hummus with veggies and chips. I love spreading hummus on toast or on sandwiches. And I love adding a scoop of hearty hummus to a boring green salad to liven things up a bit. However, this Miso Hummus Recipe is quickly becoming a favorite with my family because of the unique umami flavor introduced by a large dollop of white miso paste. Miso paste is a wonderful add-in for dips and spreads, soups, dressings, and pretty much any lackluster dish that needs a pick-me-up. It’s rich salty flavor, blends perfectly with hummus providing that extra something, which keeps people coming back for more. 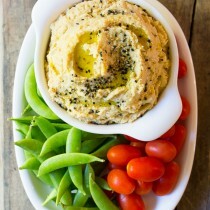 Plus, making your own hummus recipe means you have full control over quality, texture and health. To make this simple Miso Hummus Recipe, add canned chickpeas, mild white miso paste, lemon juice and zest, sesame oil, garlic, and crushed red pepper to a food processor. Then just puree until you reach your desired consistency… chunky or extra smooth. Sprinkle sesame seeds over the top, if you like, then dip away! I’m always amazed at how much better homemade hummus tastes, over store-bought varieties. It’s economical, takes very little time to make, and offers endless possibilities! And be sure to give this Miso Hummus Recipe a taste! 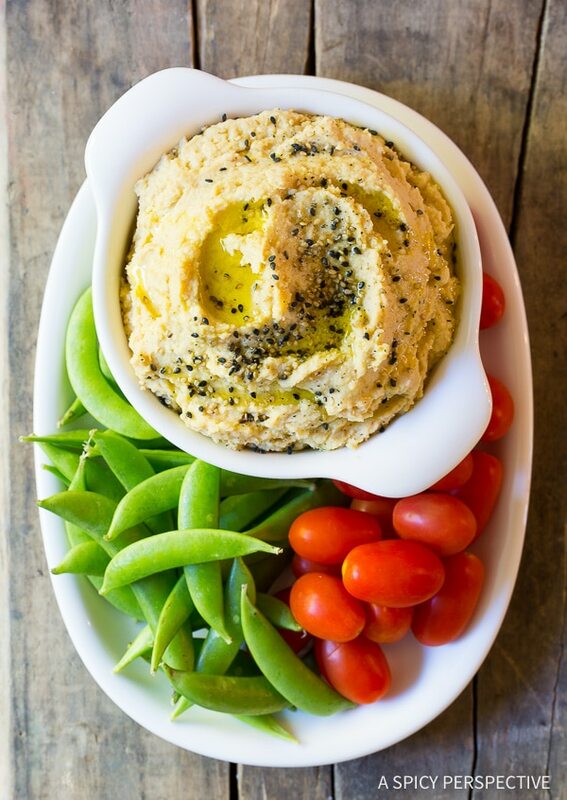 Easy Miso Hummus Recipe. 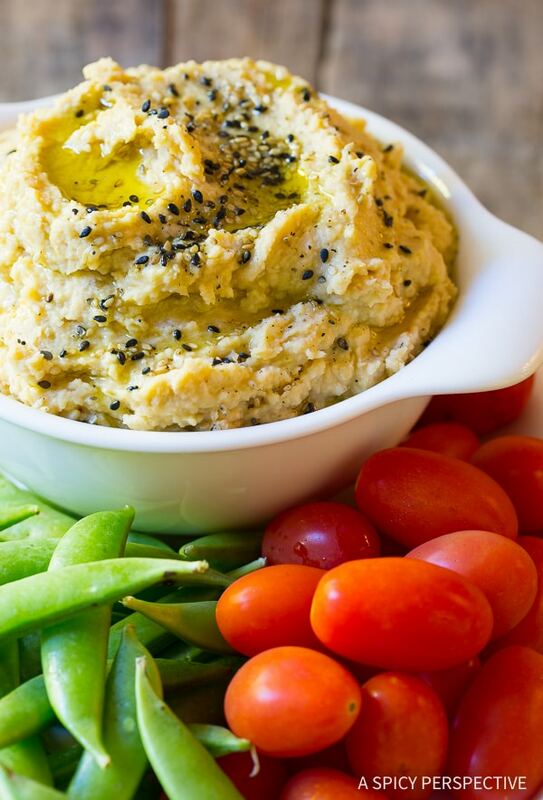 This light and healthy homemade hummus recipe is both economic and delicious! Serve with cut vegetables and pita chips for a snack. 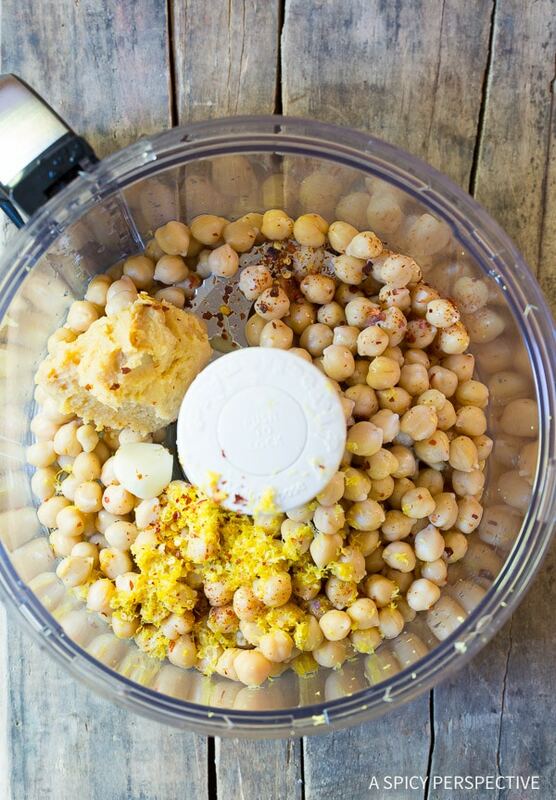 Place the drained chickpeas, 1/4 cup miso paste, lemon zest + 2 tablespoons juice, sesame oil, garlic clove, and crushed red pepper in a food processor. Serve with cut vegetables and pita chips. Miso Hummus will keep in an air-tight container in the fridge for up to 2 weeks.